If you enjoy taking vacations at a beautiful lake setting with all the conveniences of home, our Lands End condo is the place for you. Lands End offers boating, swimming, and relaxation. 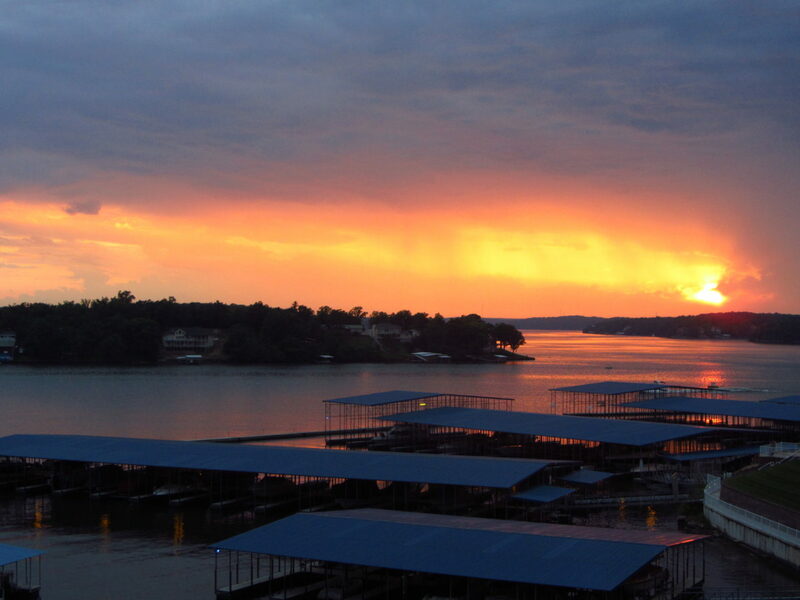 We love watching the lake activity during the day, the awesome sunsets in the evening, and the lights on the lake at night. The view of the lake couldn’t be better. 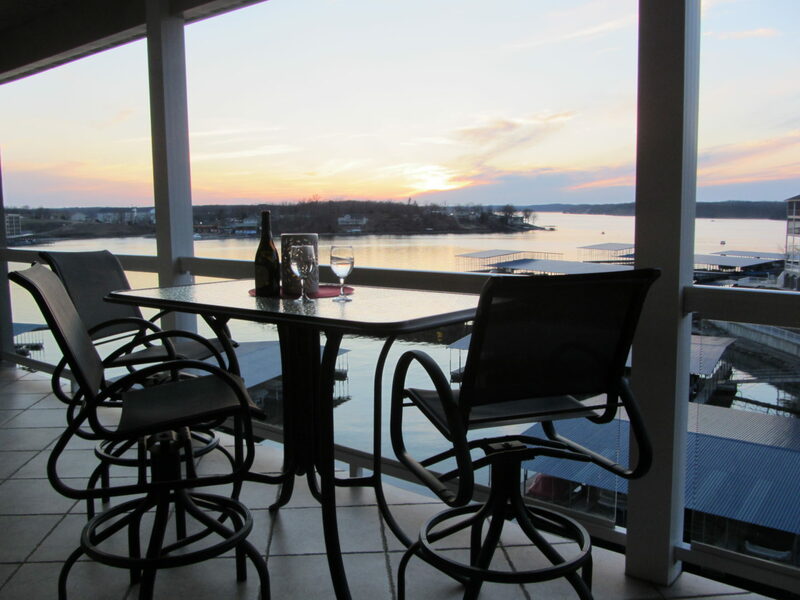 This is a gorgeous 3 bedroom, 2 bath, 1520-sq ft, lakefront condominium with a breathtaking view of the Lake. The condo is on a quiet top floor with walk-in access from the parking lot. 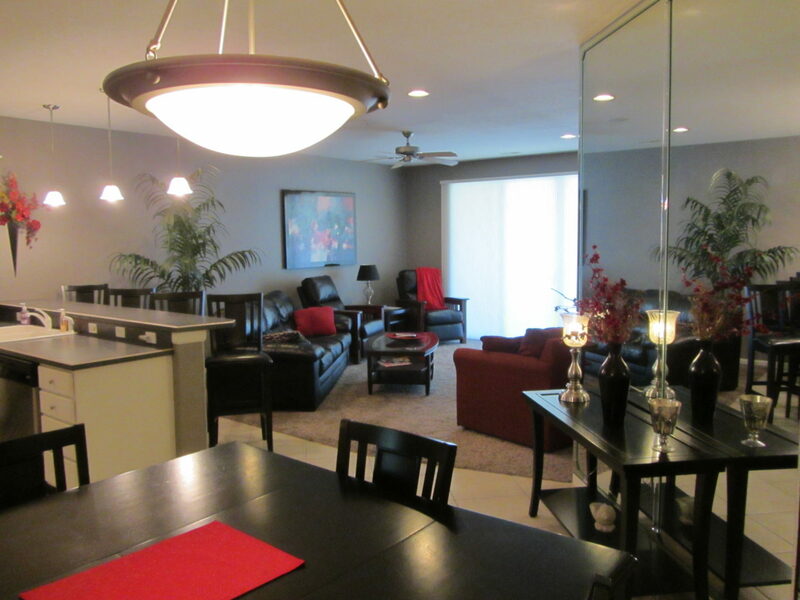 The condo has been professionally decorated and fully updated in 2013. 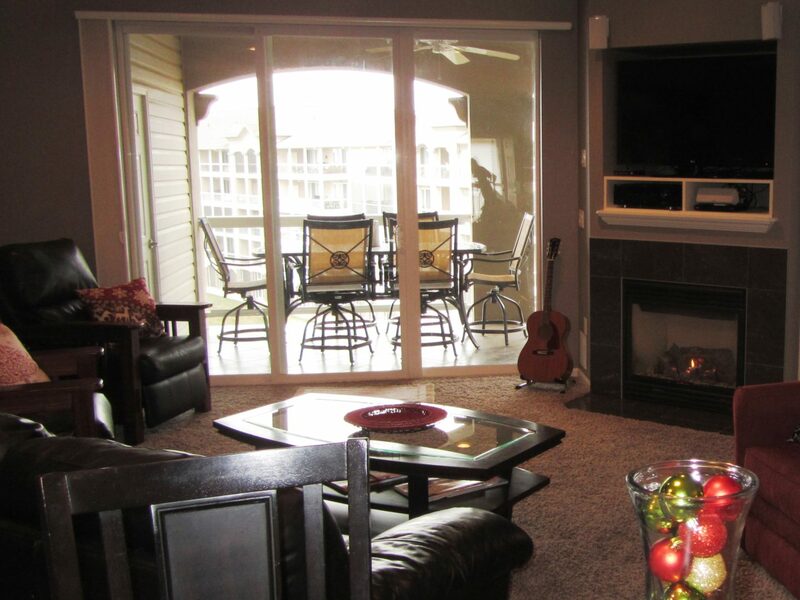 The living room features a new 50” LCD TV, home theater system, Wi-Fi, and leather furniture. The Kitchen is fully furnished with stainless steel appliances and a large dining table/breakfast bar that will accommodate eight people. The master suite has a fantastic view of the lake, as well as a sliding glass door to give easy access to the large deck. In 2013 we installed a new King Bed with pillow top mattress and a new 42” HD TV. There is a private bath off the master bedroom with both a shower and a Jacuzzi tub. 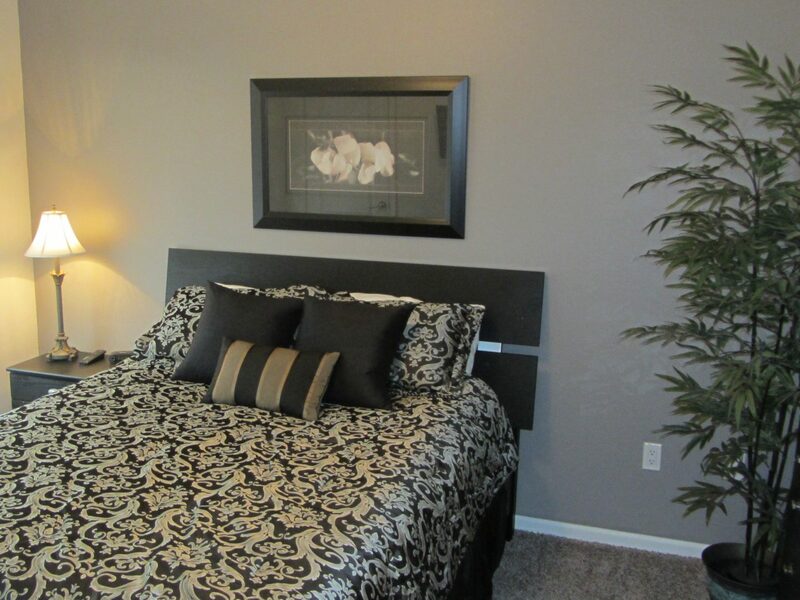 There is also a separate walk-in closet filled with extras to help make your stay enjoyable. 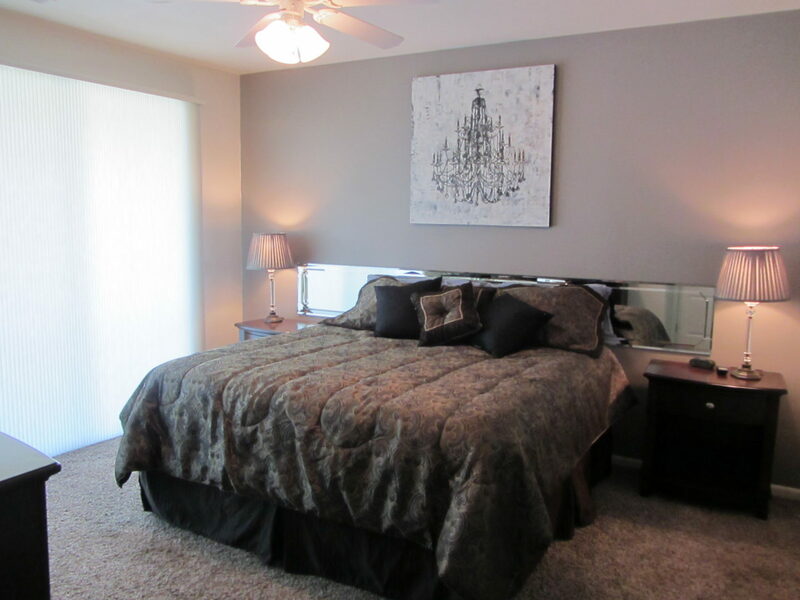 The second bedroom also has a King Bed with attached bath, and the third bedroom is equipped with a Queen Bed. 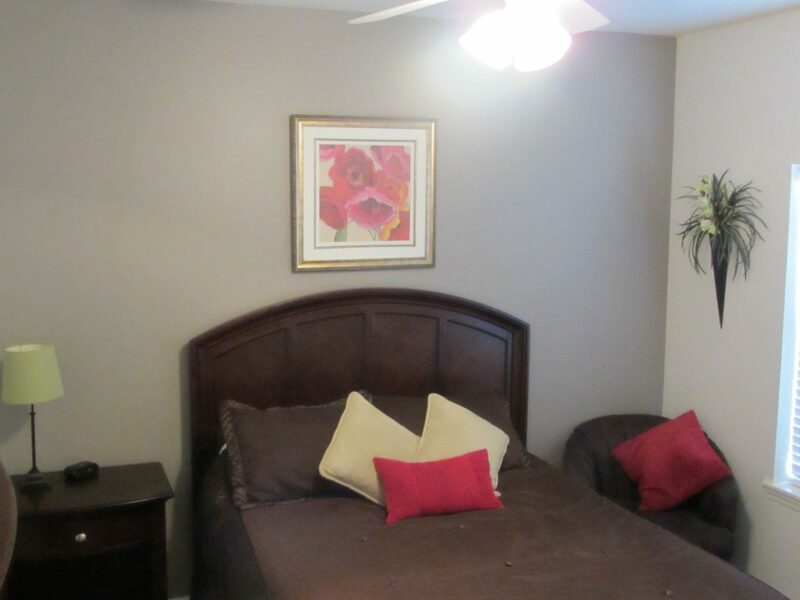 Both of these bedrooms have a TV, DVD player and ceiling fans. A Coleman inflatable air mattress is also available for additional guests. In the living room there is a pullout single Sleeper Bed. A washer and dryer are included in the condo in a separate utility room. The private deck includes a gas grill and new six seat dining set. 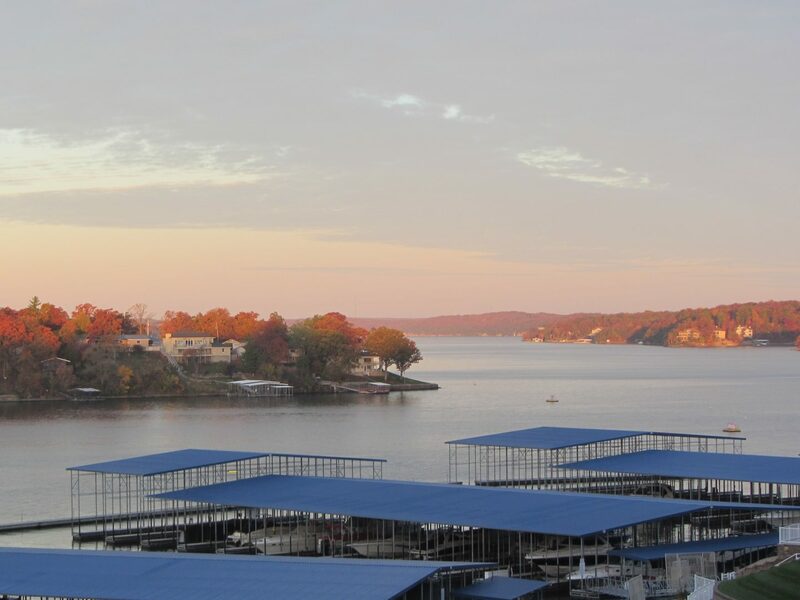 Enjoy fantastic views of both the main channel and the weekend no-wake zone channel leading to the Grand Glaze bridge and State Park. The State Park is an excellent place to water ski if you have a boat. During the day enjoy the pool next to your building that features a waterfall & upscale patio furnishings. 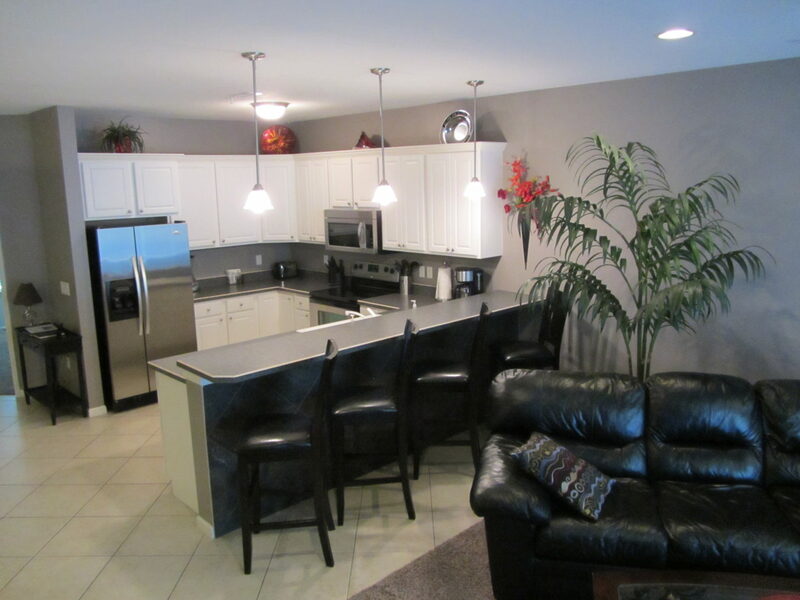 Our condo is located in building 5, which is the closet condo to the pool in the Lands End Complex. For families there is a separate children’s waterpark w/ lazy river & a large playground & basketball court. The modern clubhouse features a state-of-the art fitness center as well as a pool table and lounge area for guests. Only a five minute drive away is a 110 store factory outlet mall. Golf, miniature golf, a go-cart track, as well as a State Park with lots of outdoor amenities are also a short drive from your condo.